Singer Anette Mendoza is ready to move to the next level! 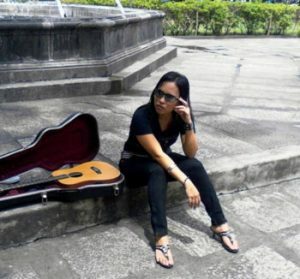 Anette Mendoza, one of the original members of the Dabria duet which originated in 2011, has performed by request in various places such as Japan, Korea, UAE, and Indonesia among others establishing a solid reputation as a singer and performer. Anette, who started singing when she was 5, has also recorded the song, “I will do anything for love”, with Philippine artist – and first ‘Pilipinas Got Talent’ winner – Jovit Baldivino. Inspired by her late father, who himself was an excellent singer, Anette decided to sing professionally at the tender age of 7, starting out with covers by artists such as Aretha Franklin, Celine Dion, Toni Braxton, Miriah Carey, and of course, Michael Jackson. However her father also instilled in her the importance of education, and Anette would complete her Bachelor’s Degree in Computer Systems Design and Programming. A humble, low key person she is also a keen athlete who loves running. During her school years she won many medals for track and field events, and claims these activities helped her breathing and hence benefited her singing. A fully fledged artist today, and part of the vibrant Dabria group of talented singers and producers, as well as the DabriaLive Records stable, Anette Mendoza is ready to take the next step in her career. The first track I hit play on in her catalog was “Love On Fire”. Anette’s distinctive vocal cords is as reassuring as seeing an old friend. It is also a refreshing reminder that female vocalists need to do more than just belt out notes to convey emotion. She can growl and purr, be soothing and pulsating, and evoke a myriad of feelings in the listener. As she does here, over a smooth, but bubbling synth based soundscape. 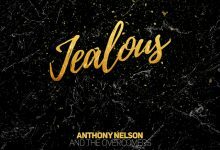 Right out of the box she sounds like a great alternative for those who’ve really gotten tired of the overplayed and overexposed Beyoncé and Rihanna. Anette doesn’t need to resemble – or sound like – any other artist currently out there. Her craft is far cleaner, more natural, and infinitely superior (with the exception of a few of her contemporaries and of course those who came before her – think Mariah, Whitney, Toni, Celine), and I think it’s pretty evident in her songs. The simple acoustic-guitar strummed “CyberStalker” is another track of testimony to her crystalline vocals and talent, as she delicately soothes the soul. Unlike most so-called singers as of late, Anette’s rich, emotive voice is an asset not a liability. Without her excellent voice, this, and her other songs would not become as enjoyable as they are. The singer always manages to shine regardless of what kind of soundscape her voice needs to color. On the R&B influenced “Just Say Yes”, Anette really brings it on vocally and emotionally and keeps it current too, while reaching a register that would cause envy in many of her peers. Yet, unlike her contemporaries, she never seems to try and change or enhance her voice with auto tune or other computerized technologies. She simply sings from the heart and soul – this is what sets her apart. 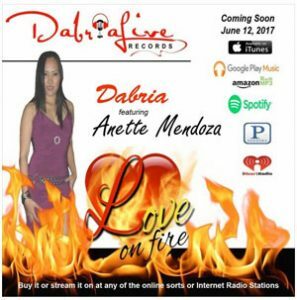 Recently Anette also features on the rhythmic and edgy urban track, “Dangerous” by Dabria, alongside Haydee. Once again showcasing her versatility in executing songs from any genre and style, and being remarkably comfortable at it. However, hearing her music, there is a class and sophistication to Anette’s voice that isn’t common in popular music. You really have to dig and search current artists to find something comparable, or simple fall back on the legendary divas that once were.